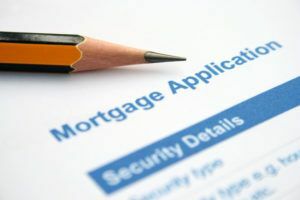 Whether tapping your own ingenuity, utilizing the Internet’s resources or trekking time-tested and proven marketing avenues, there’s a bountiful supply of mortgage leads to win over. The best possible leads will be qualified parties interested in your services, your products and in you. On that account, you will need all of the preceding skills, tools and strategies to drive your success. Let’s get started! Prepare the appropriate marketing materials before you reach out to your personal network. Update business cards, if necessary, and utilize flyers, mailers and door hangers that advertise your company’s products that may benefit potential clients. Don’t be shy about asking satisfied clients for referrals. Track your past clients and, additionally, search for mortgage leads in orphan files left behind by former employees. Realtors come into regular contact with hopeful home buyers. Solicit referrals by telephone or a personal office visit to establish initial contact. Follow through with another phone call to the real estate professionals you’re targeting. Contact FSBO (For Sale By Owner) homeowners through FSBO websites. Clearly outline how your mortgage services can help potential home buyers purchase FSBO homes. Your goal should be to place signs advertising your company’s services next to FSBO signs. Establish your online presence with a personal website, blog page and social media accounts. Stay engaged. Dedicate one hour a day, for example, to post and respond to articles and comments. Build your “Friends” and contacts. Use email marketing campaigns regularly that include back-links to your personal website and blog pages. Research lead-generating companies that offer a platform of services for lead generation and client retention. When you consider your overall marketing strategy, including your online and social media presence, select lead-generating and marketing companies help you maximize your skills and tools, and keep you digitally organized with a professional image presented to your current and potential clients. For more information about how to generate the best possible mortgage leads to drive your success, browse our website or reach out to our marketing specialists at Continuity Programs today. These are some awesome tips about mining my own network. Marketing can be so expensive when you first start out. I just got involved in the real estate business and I want to be able to create good word of mouth about my business. Should I try to hire out marketing first? Hello – It will save you a lot of time and money if you hire out some of your marketing to a reputable company with experience. Thanks for reading!